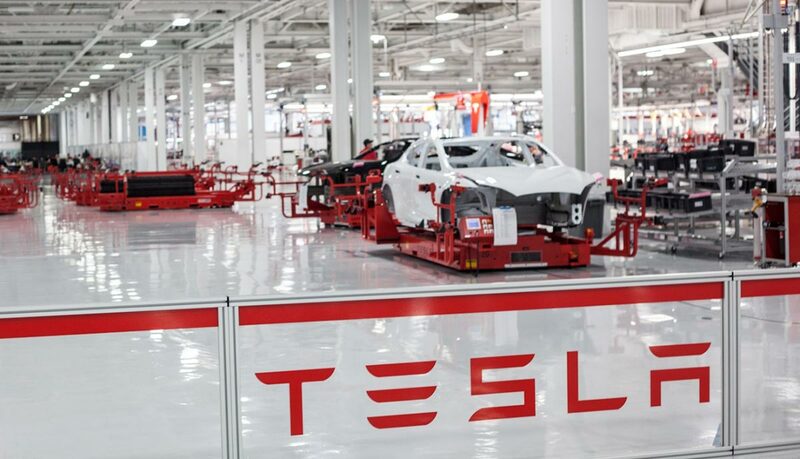 Tesla (NASDAQ:TSLA) reported its fourth quarter and full 2018 financial earnings today, and shares took a slight hit, less than 2 percent in extended-hours trading after missing on profit expectations and beating on revenue. Catch our third quarter coverage here. Now with two consecutively profitable quarters under its belt, we can say that the Model 3 production ramp was a success. Tesla stated that over 7,000 Model 3 units are being produced on average per week; this time last year the company was struggling to push past 1,000 units a week. Tesla earned $1.93 per share in Q4 versus a loss of $4.01 per share in the fourth quarter of 2017. Revenue was a key metric here – revenue for the quarter shot up to $7.23 billion up from $3.29 billion from the same quarter a year ago. Wall Street was expecting $7.16 billion here so the revenue was a slight beat, while $0.78 EPS fell short of the $2.19 per share analysts were calling for. 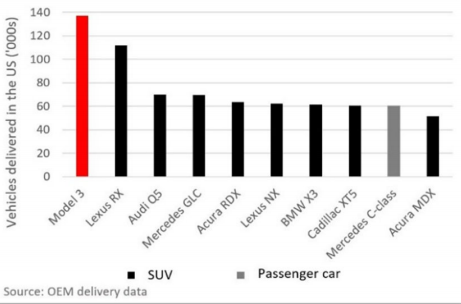 Tesla reported earlier this month that it delivered 90,700 vehicles during the fourth quarter: 13,500 Model S sedans, 14,050 Model X SUVs and 63,150 Model 3s. The Silicon Valley car maker reported that it was sustaining 7,000 Model 3 sedans per week and that gross margins (company-wide) were approaching their stated goal of 25 percent. This helped Tesla achieve a profit as the company sold about 140,000 Model 3 cars in 2018. Tesla is doing everything it can to cut costs in order to improve its margins further. For instance, instead of solely building more service stations which would require costly real estate and construction purchases, they are adding to their mobile repair fleet which, according to the corporate website “allows for 80 percent of repairs to be completed at the owner’s home”. The Palo Alto-based company reduced its workforce by 9 percent last June, and a further 7 percent of its employees were laid off just earlier this month with Musk saying in a memo to employees there “wasn’t any other way”. Perhaps that’s a tough pill to swallow in light of this week’s Washington Post article detailing how Tesla spent $700,000 in 2018 flying Musk around on the company jet. The Model 3 continues to dominate sales in the U.S.
Of great interest to investors is Tesla’s cash position. Tesla reported that its cash on hand improved by $1.45 billion despite the scheduled repayment of a $230 million convertible bond in the fourth quarter. Tesla ended the quarter with cash at $3.7 billion, an increase of $718 million a year ago. Their cash position is even more crucial because Tesla has about a billion dollars in convertible bonds coming due in the coming weeks. “We have sufficient cash on hand to comfortably settle in cash our convertible bond that will mature in March 2019,” the shareholder letter to investors said. So this may not be much of an issue for Tesla as it will surely be forced to pay this back since its stock price is nowhere near the ~$360 per share it needs to be to sidestep taking this charge. Looking ahead, the company said it expects to deliver 360,000 to 400,000 vehicles from all its model lines in 2019. That represents growth of 45% to 65% from last year which is very encouraging for the EV maker. “In 2019, full-year Model 3 volumes will grow substantially over 2018 due to a full year of high production rates at our Fremont facility,” Chief Executive Elon Musk added in the letter to investors. 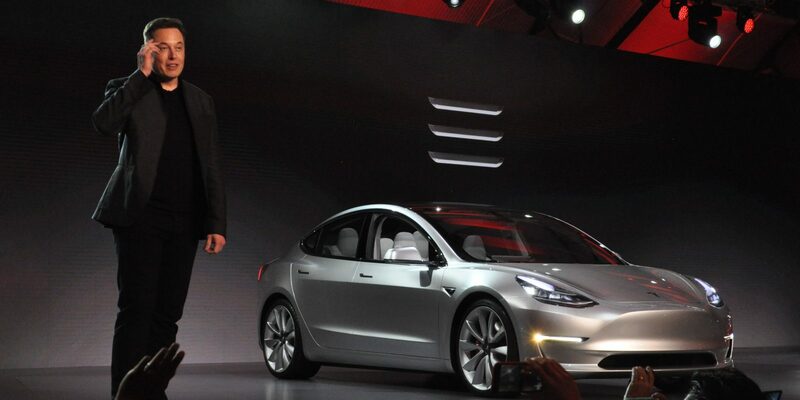 By the end of this year, he said, Tesla expects to start producing Model 3 vehicles at its factory in Shanghai, using a complete vehicle production line. Elon sidestepped analysts questions on the call about the Semi-truck but he did say to expect volume of the Model Y pickup truck later next year. “Additionally, this year we will start tooling for Model Y to achieve volume production by the end of 2020,” Musk said. With Chinese production lines coming on-line this year, a new Model Y and Semi-Truck hitting the market, and Model 3 continuing to show solid demand as production further ramps, Tesla is looking at a good medium-term outlook for the upcoming couple years. We will begin to see the results of its cost-cutting measure in the coming quarters and if it can hold true to its promise of 400,000 vehicles this year, with improved margins, Tesla may finally “arrive”.